At the beginning of every new year, I get the urge to clean out cabinets, closets and while I’m at it, the refrigerator. 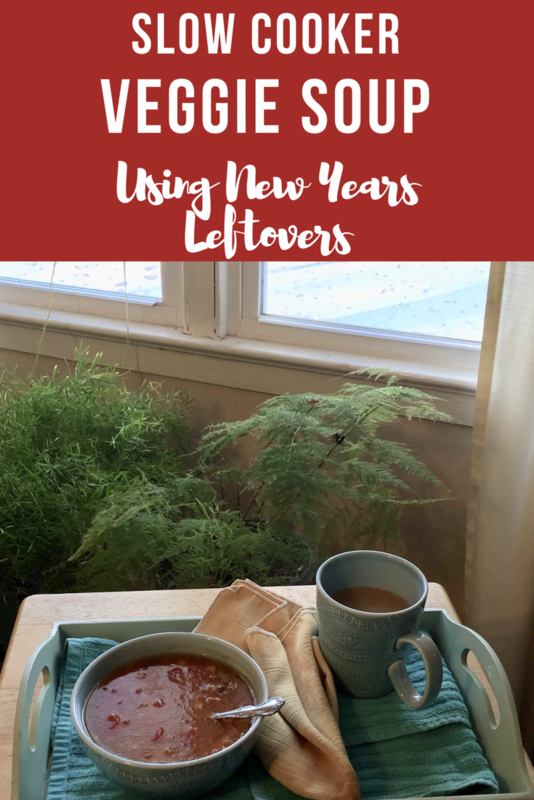 After all the cooking I did over the holidays, my kitchen gets neglected and and there are all kinds of leftovers that will do nicely in the first of our slow cooker series. 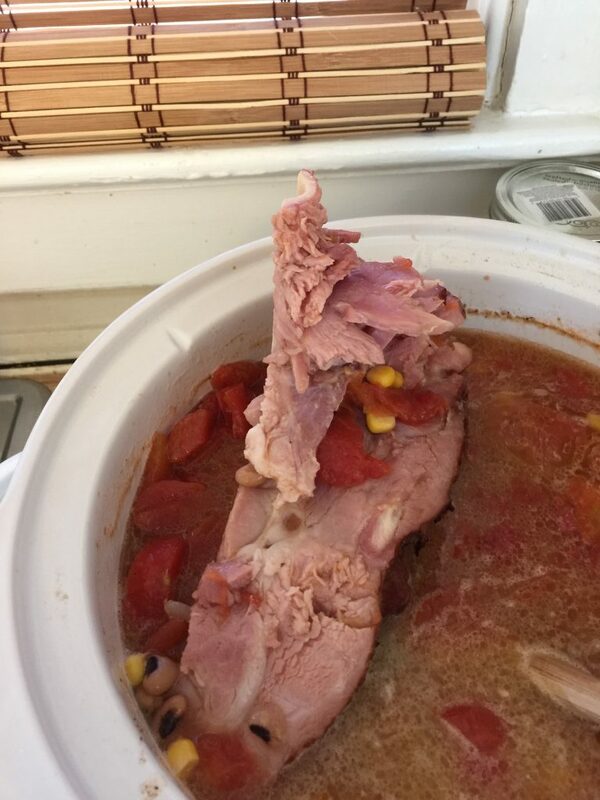 I’m sure everyone has a slow cooker pushed far back in their bottom cabinet or pantry somewhere not getting any use. Hopefully, our series will be an incentive to dust your’s off and put it back in service. 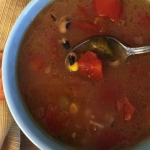 I began by adding the leftover black eyed peas that were from New Year’s. There were also leftover stewed tomatoes and I also added another can. 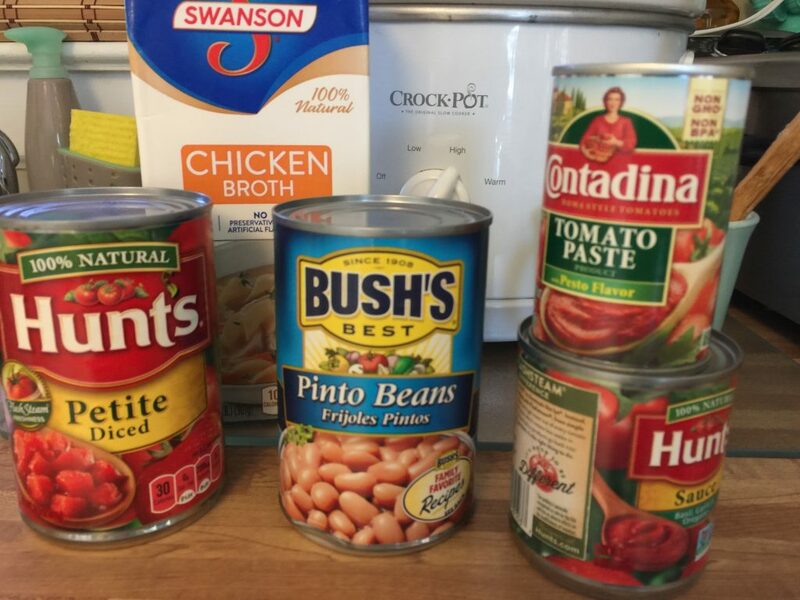 Other veggies from the pantry are shown below. You can add whatever your family likes the most. If you have stew beef or any ground beef, brown it in some onions before adding into your soup mixture. Let this mixture simmer on low for 8 hours or on high for 4. 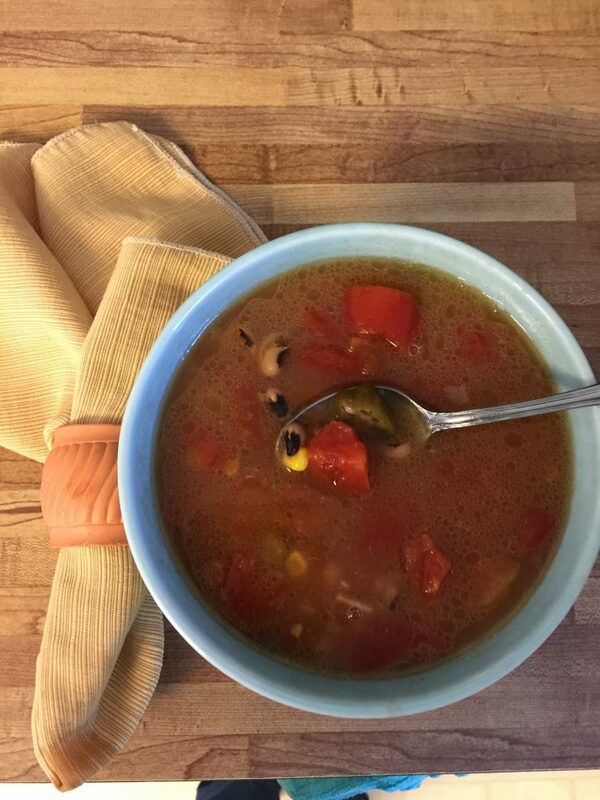 Pair it with your favorite cornbread recipe or a nice spicy garlic bread and you will have dinner! 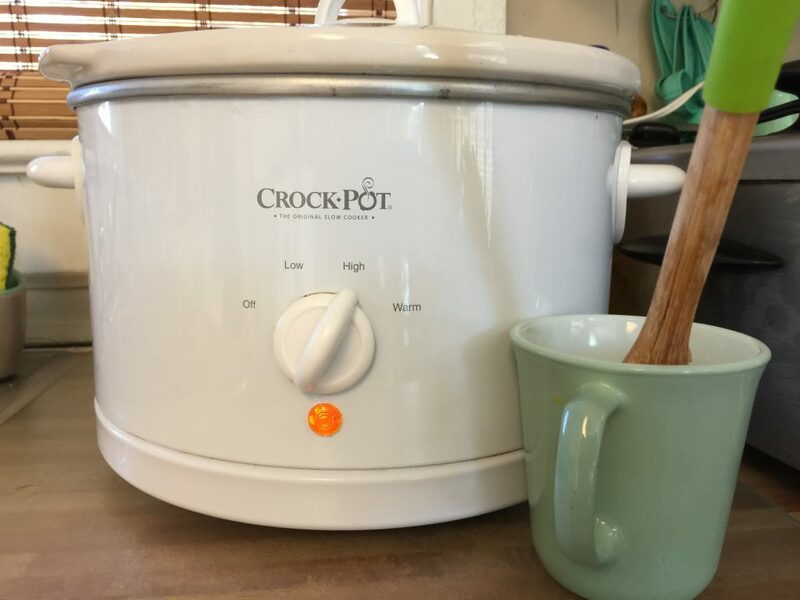 Check in next week for another edition of our Slow Cooker series. 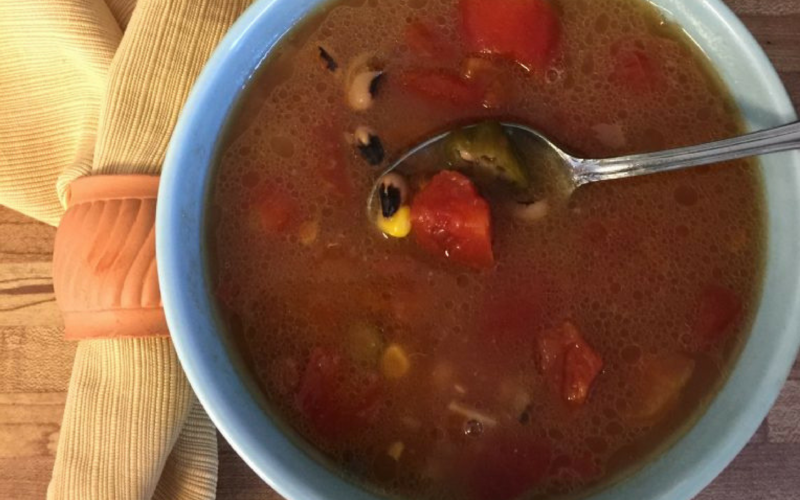 Use up leftover ham in this easy slow cooker veggie soup recipe.